"Don't question, just try it" was the description for the Irish Dew on the cocktail menu at the Copper Door restaurant in Bedford, New Hampshire and after a full day on the soccer field I was more than happy to rise to the challenge. 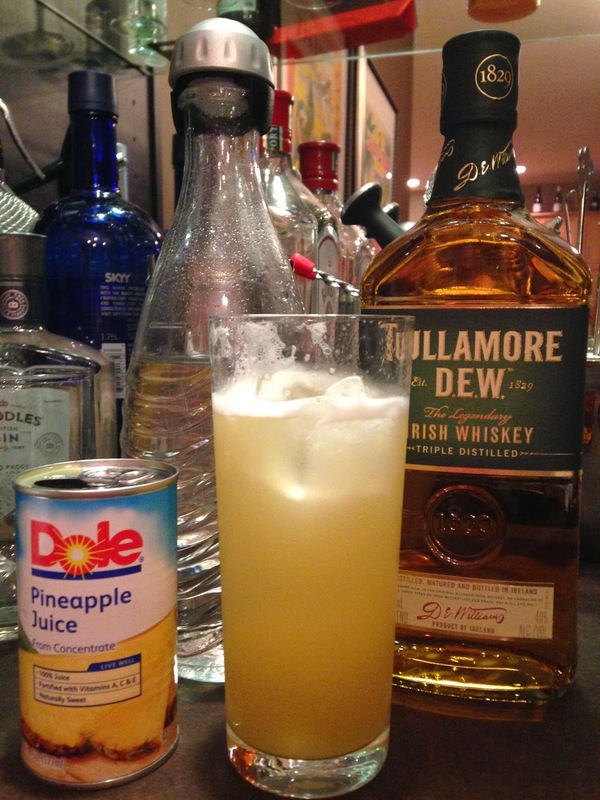 Irish whiskey and pineapple juice are about as opposite as you can get on the flavor spectrum but they work surprisingly well together. This unique cocktail is perfectly suited to the bizarre weather we're having here, it so desperately wants to be summer outside (pineapple juice) but is somehow stuck looking and feeling like mid-November (whiskey weather). We're about to change the calendar to June and I'm still bundling up in sweaters and keeping the heat on. It's crazy. Even more depressing is the collection of rosé wine gathering dust in our wine fridge. On our trip to New York last month we stopped in at our favorite wine store, Zachy's in Scarsdale, to stock up on some bottles to start off the summer season. We sampled eight different rosés from their elaborate tastings bar and loaded up our shopping cart with some new and interesting bottles. But now I feel like they can't be opened until the thermometer outside reads above 70º, which at this rate might not be until August. Until then I'll be swathed in wool enjoying my whiskey. Slàinte and stay warm!